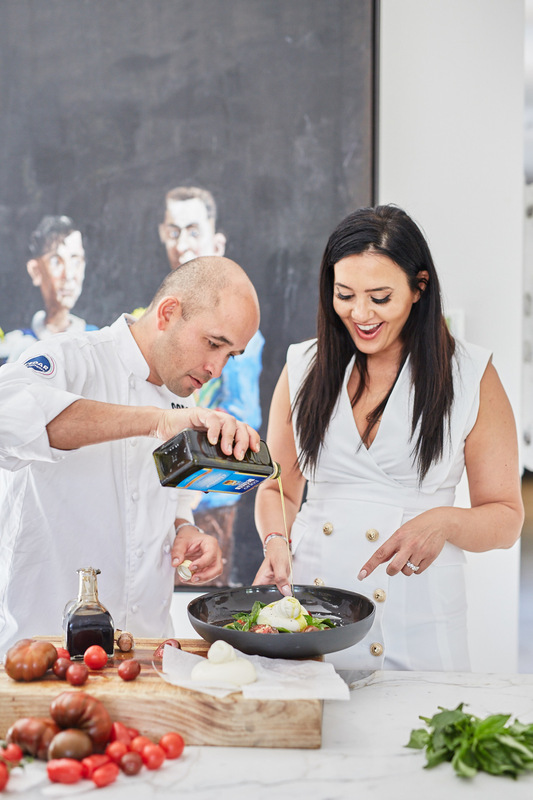 This fresh cheese resembles Mozzarella but once sliced open you will be delighted to discover a rich-tasting, soft filling of fresh pieces of Mozzarella and cream. 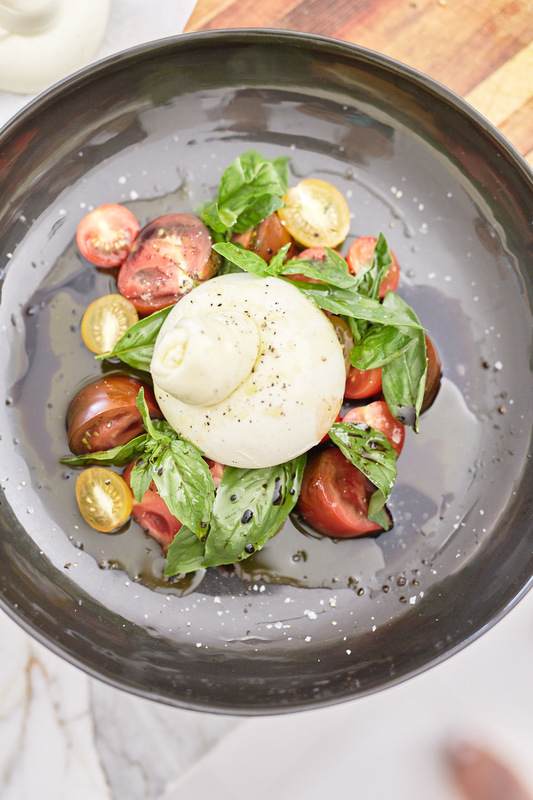 Like any Mozzarella, Burrata pairs perfectly with tomatoes, making this a perfect summer salad. 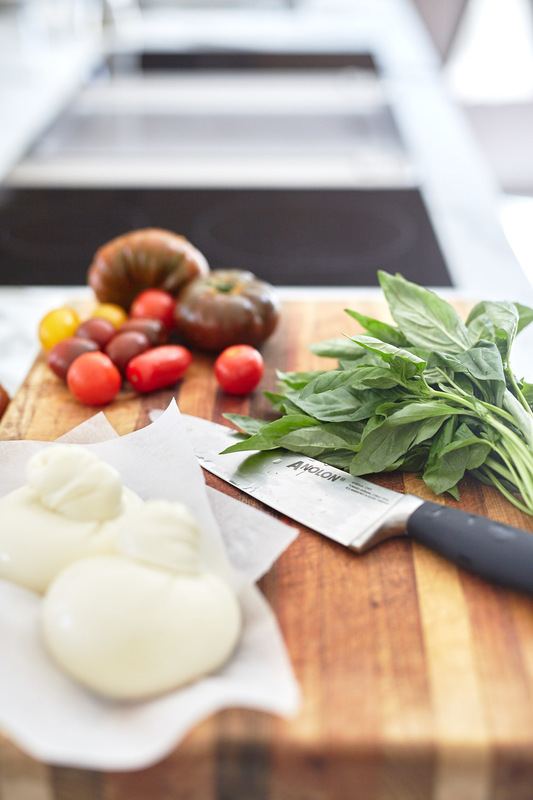 Wash the basil and tomatoes well under cold water. 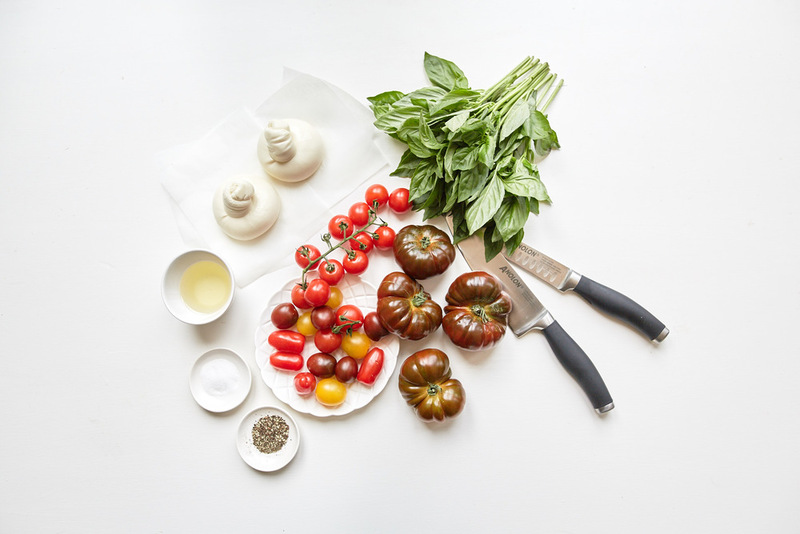 Chop the tomatoes in half and place in a serving dish with the basil leaves. 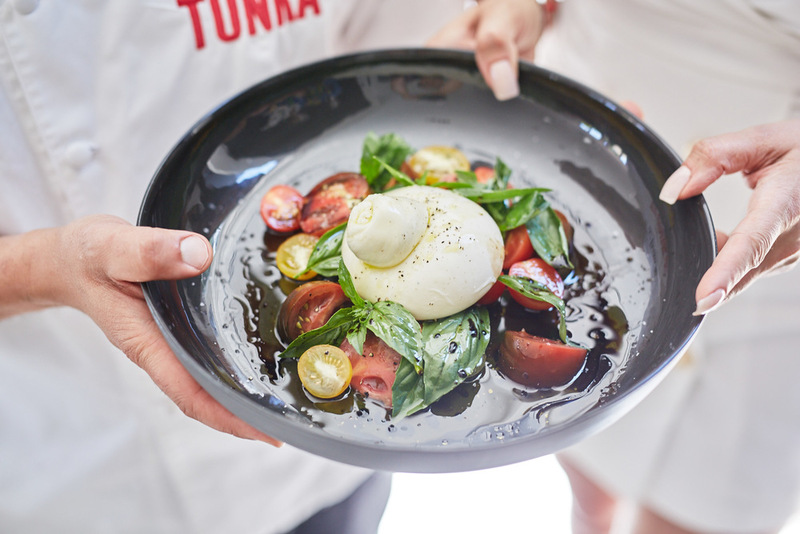 Place the Burrata on top.